Welcome! This site is for all Catholics who believe that the laity must have a more active participatory role in the decision making processes of the Archdiocese. In particular, the Parish Pastoral Planning process is severely flawed. 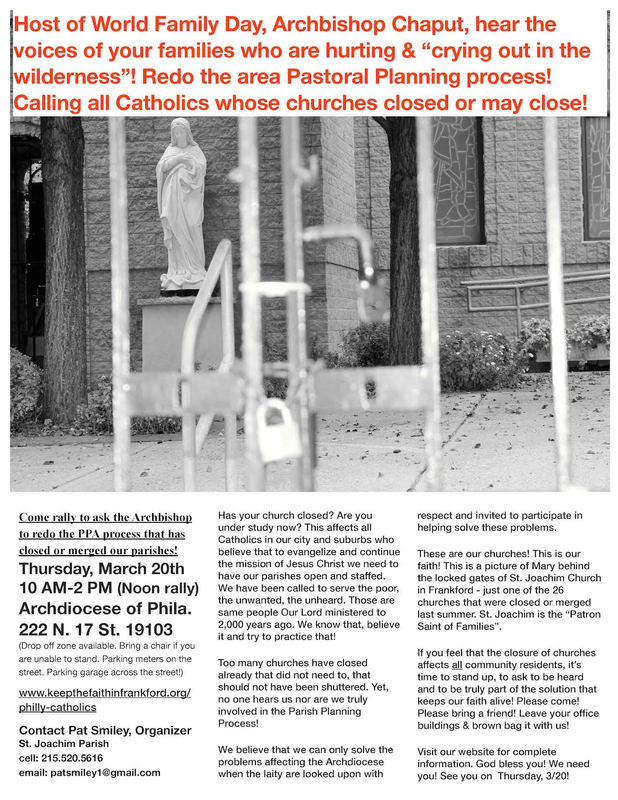 All parishioners were not involved or included in the process itself, if any information was shared it was generic information prepackaged by the Archdiocese to be disseminated, and “outside” facilitators were hired to do what should have been a process completed by those with more knowledge of the parishes.